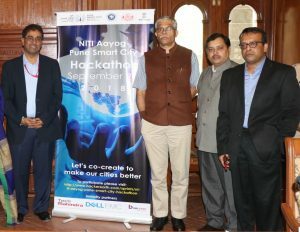 “Pune is a key center for Tech Mahindra, as the city has offered us both good talent and avenues to grow. We are humbled with this opportunity to serve this city through our core competency of technology, and facilitate a mélange of ideas to solve urban governance challenges. The Smart City Hackathon through co-creation and co-innovation will enable the creation of an ecosystem where next gen technologies like Artificial Intelligence are applied to make citizen’s life easier”, saidJagdish Mitra, Chief Strategy & Marketing Officer, Tech Mahindra.